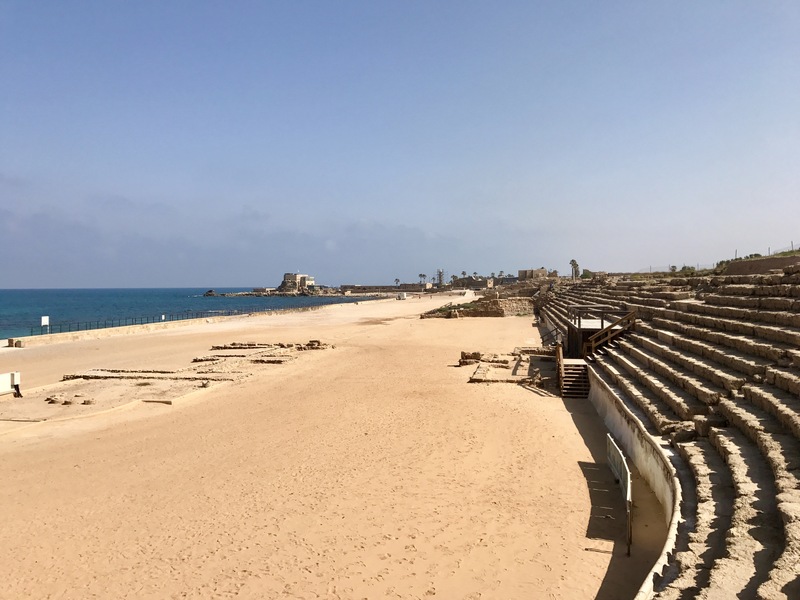 When Herod was awarded the city around 30 BCE, he built a large port city called Caesarea, which is mentioned in Josephus. 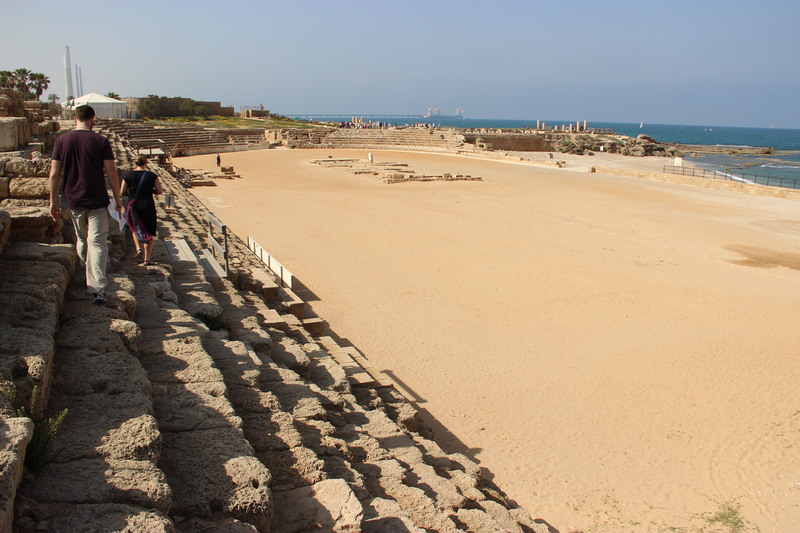 It was a planned city, with a hippodrome, aqueducts, temple, amphitheatre, markets, etc. You can definitely see the signs of wealth in the ruins. 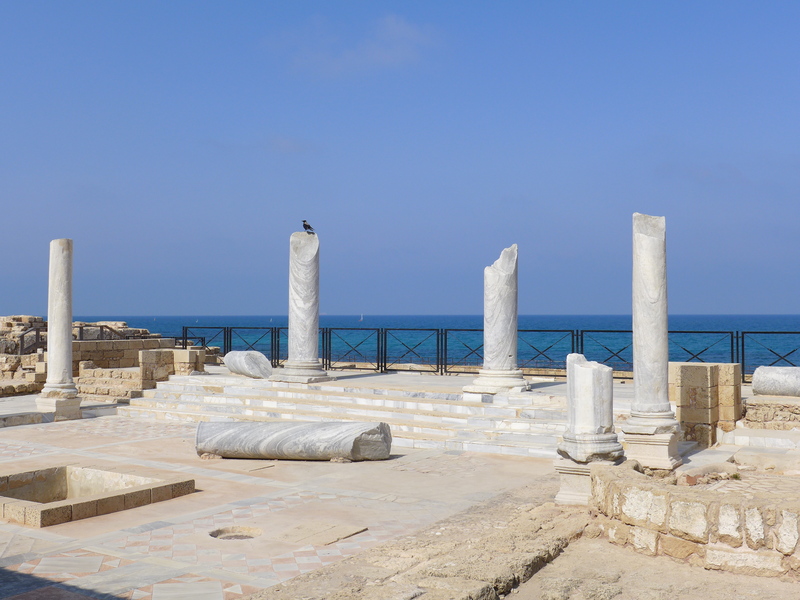 The city was a major Roman political center during the time of Christ and well into New Testament times—it’s mentioned over 15 times in book of Acts. 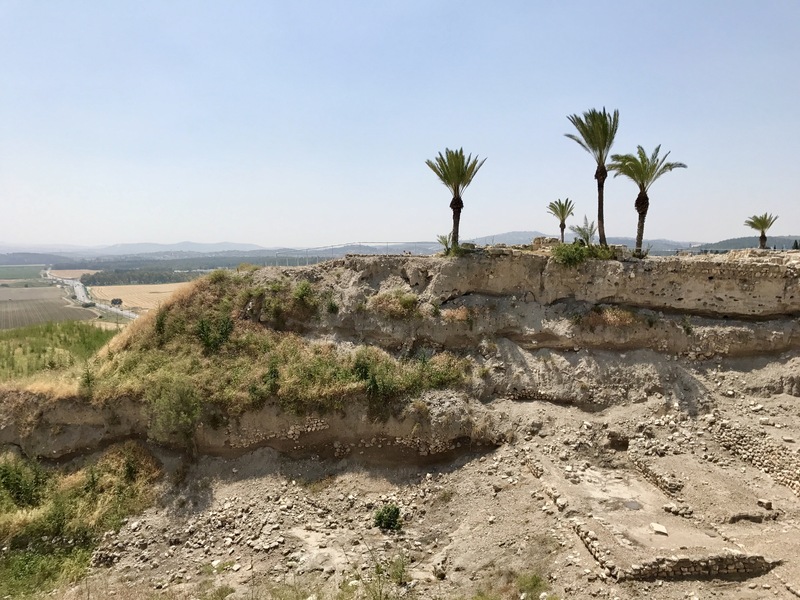 Next we drove over to the biblical tel of Megiddo, which overlooks the Jezreel Valley. For bible scholars, both of these names are super familiar. A “tel” is an archaeological mound, a hill rising out of a flat plain, marking the site of a city dating from ancient times. 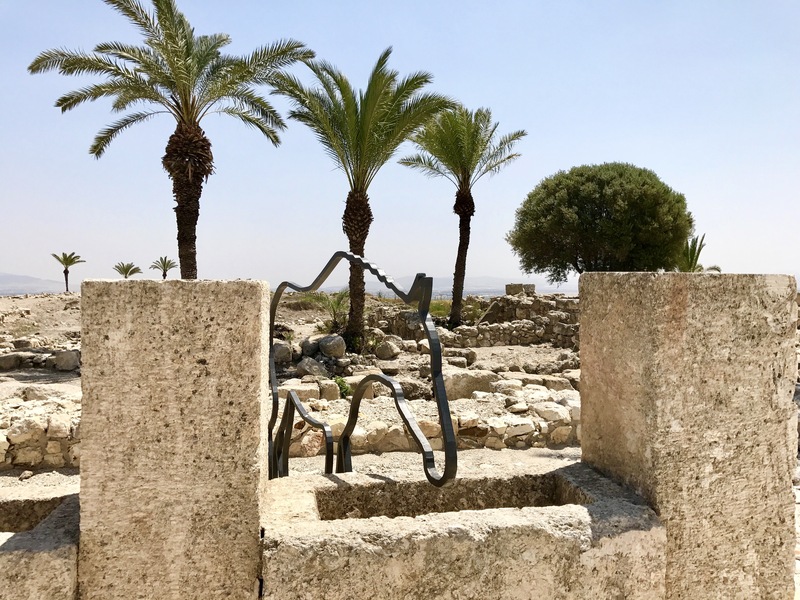 There are over 200 tels in modern-day Israel, but three that have been designated as official biblical tels—Megiddo, Hazor and Beer Sheba (Be’er Sheva). 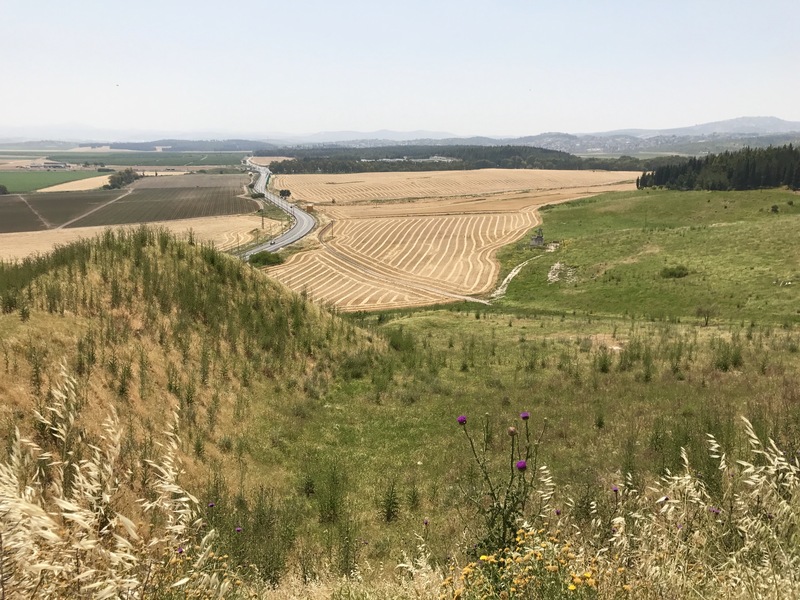 They were chosen because they have substantial remains with biblical connections, were densely-populated areas, and also because of their underground water systems (you can read more on the designations here). 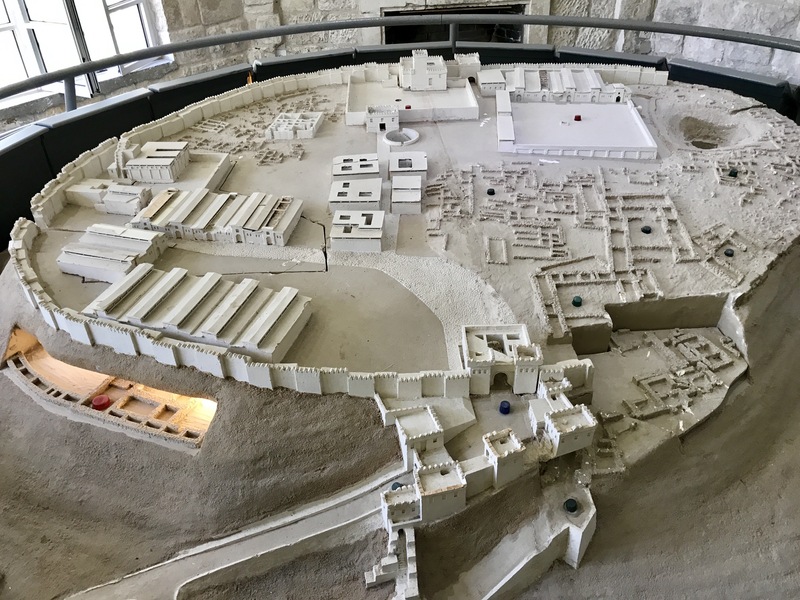 This is a model of the ancient city based on the ruins. 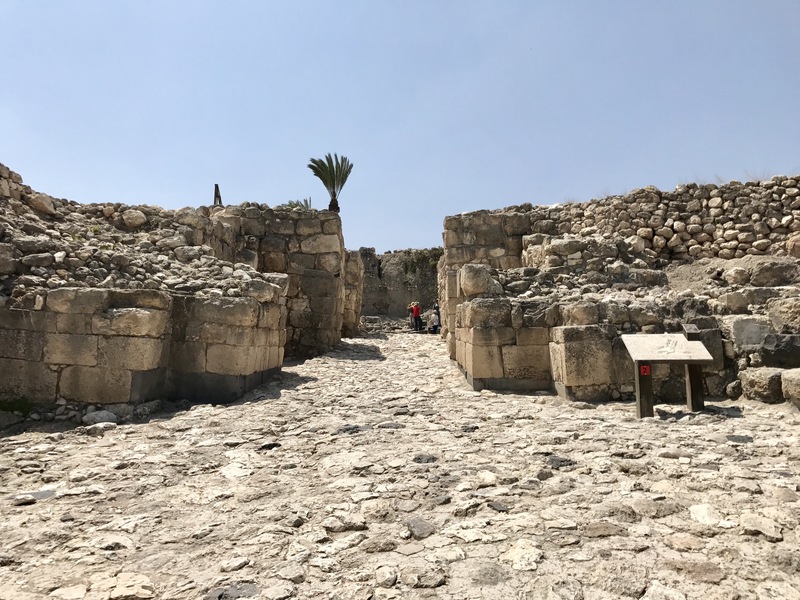 The city was of strategic importance for millennia, as it sat right at the crossroads of major trade routes and so lots of caravans (and armies) went through the Jezreel Valley. It is mentioned throughout Joshua, Judges, Kings, and Chronicles. 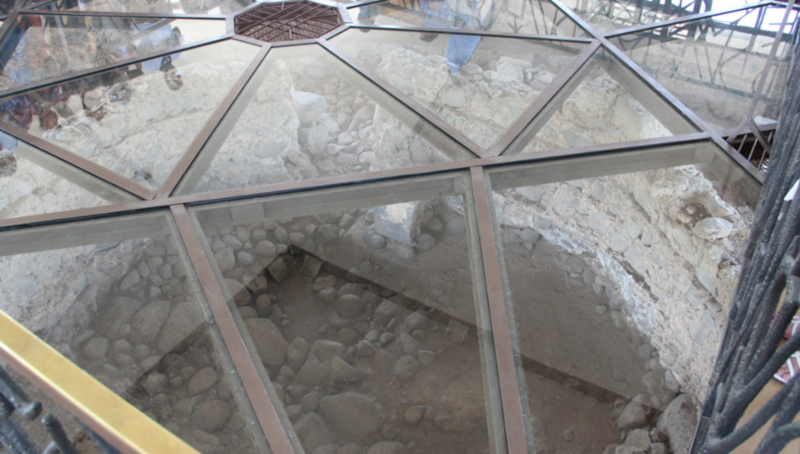 Megiddo was excavated earlier than other tels, and so less gently. There’s a part of the ruin (pic below) where you can see layers of civilizations—they estimate anywhere from 20 to 30 (depending on who you ask) individual layers of cities and peoples are in the archaeological record here. 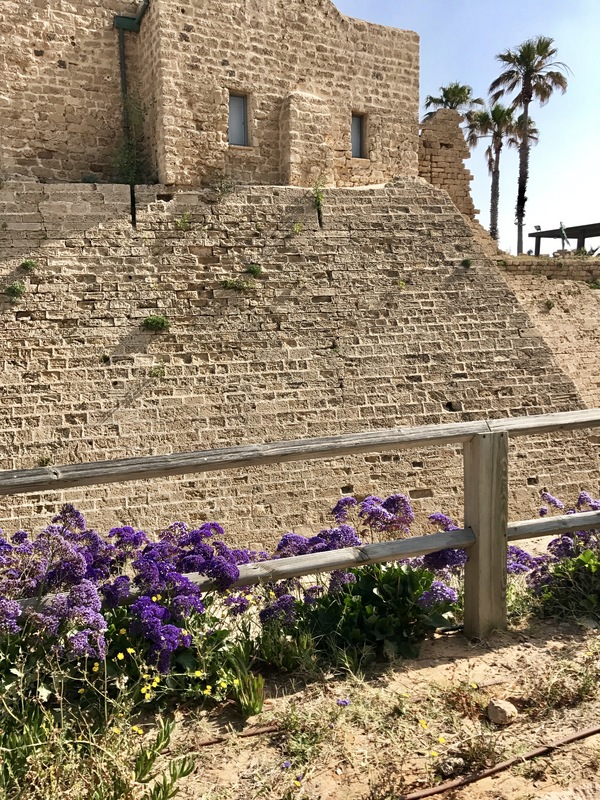 During the reign of Judah’s King Josiah, another Egyptian pharaoh, Necho, came to Megiddo to engage the king of Assyria. Against God’s instructions, Josiah involved himself in this battle and was killed (2 Kings 23:29). 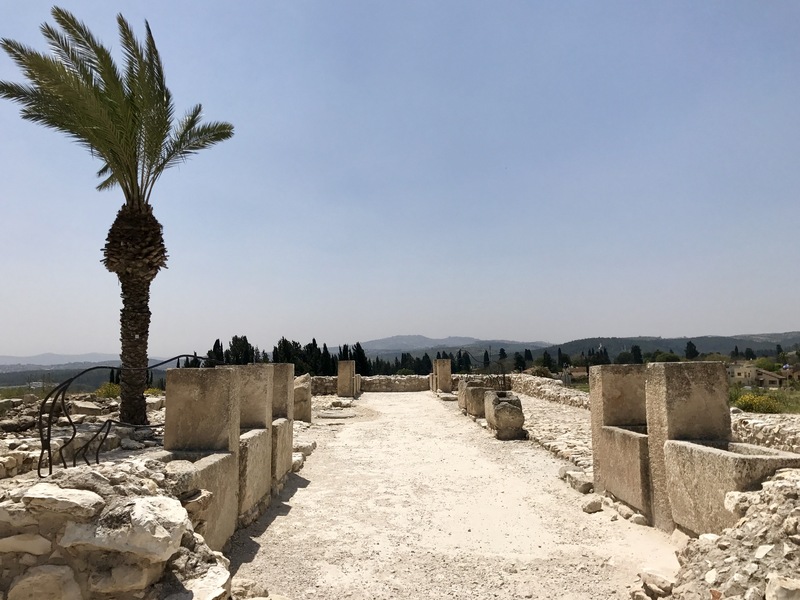 Josiah’s death at Megiddo was a stunning blow to Judah. He was the last good king before the nation’s destruction at the hands of Babylon. 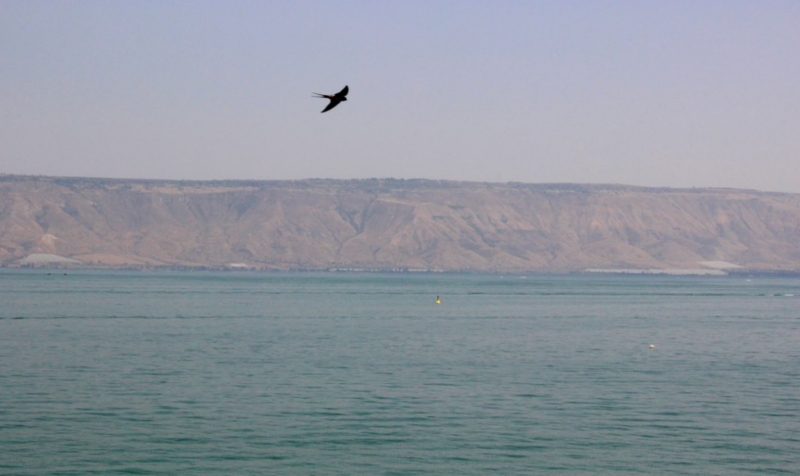 The Sea of Galilee is the lowest freshwater lake on earth, and the second-lowest lake in the world (after Dead Sea). 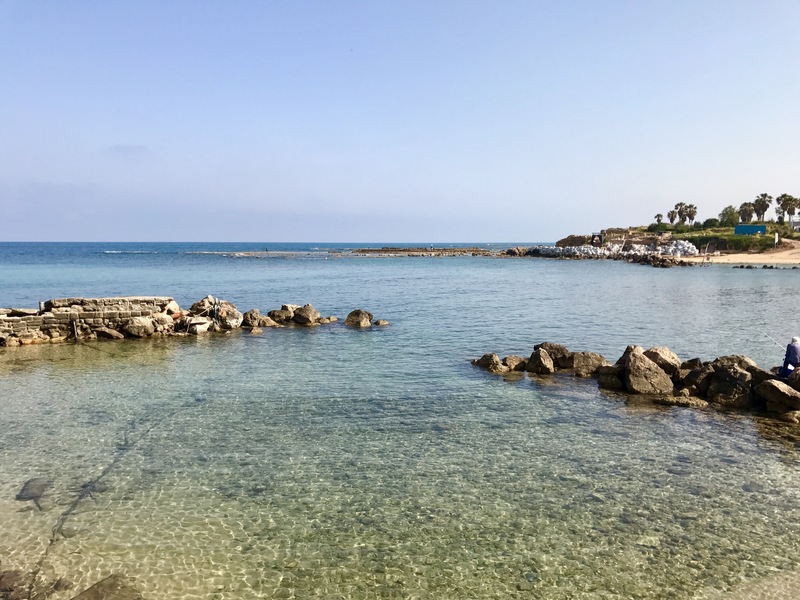 This is where a lot of Jesus’s ministry was concentrated, so there are many sites around there that various tour groups visit. 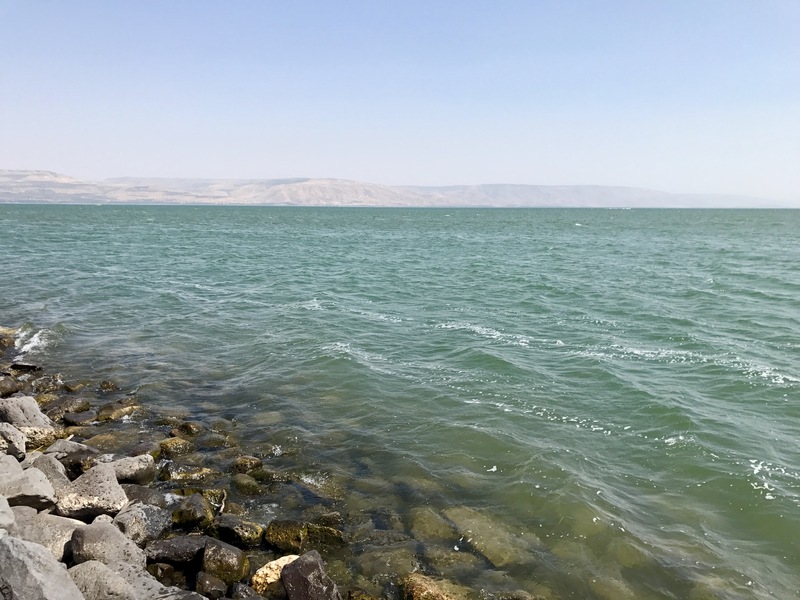 The three we focused on were Tiberias, Capernaum, and the Mount of Beatitudes. 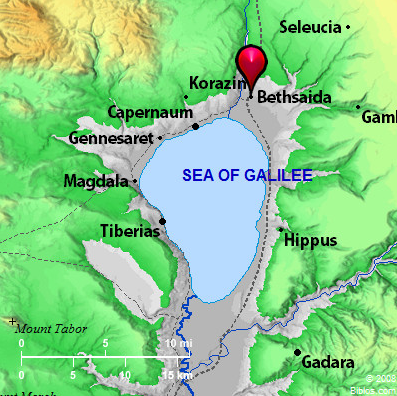 The Galilee area is referenced quite a bit, including throughout Mark 1, when Jesus was beginning His ministry. 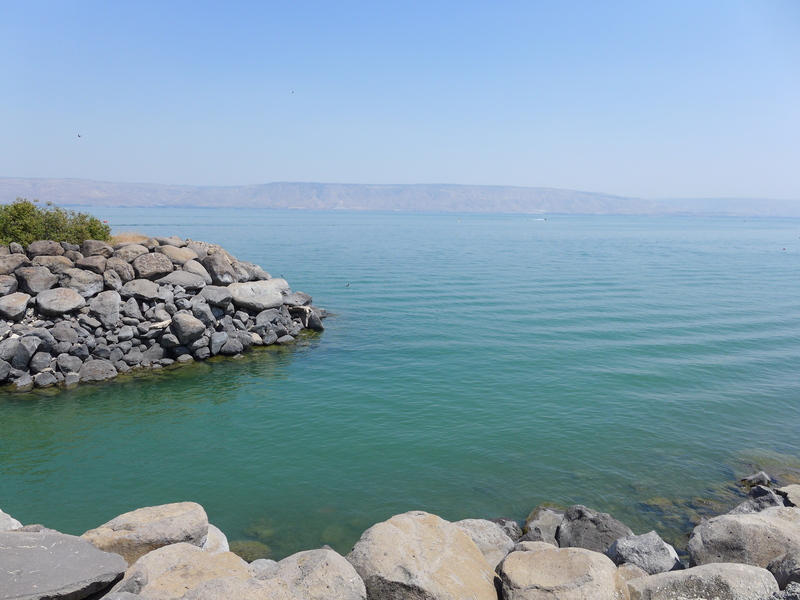 It’s also referenced once as the Sea of Tiberias, which it was often called instead. 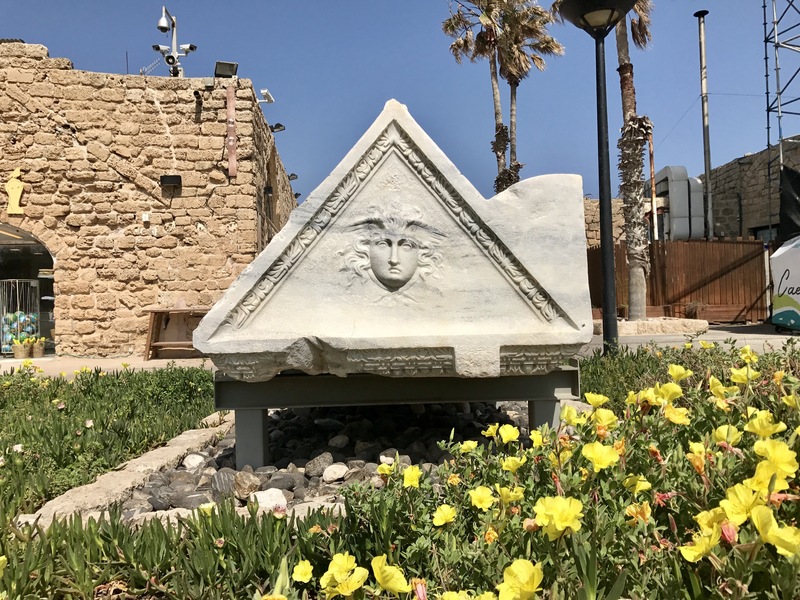 Tiberias was a strictly pagan city at first, but later became the religious, administrative, and cultural center of the Jewish nation after the loss of Jerusalem for 500 years, until the Persian and Arab conquest. 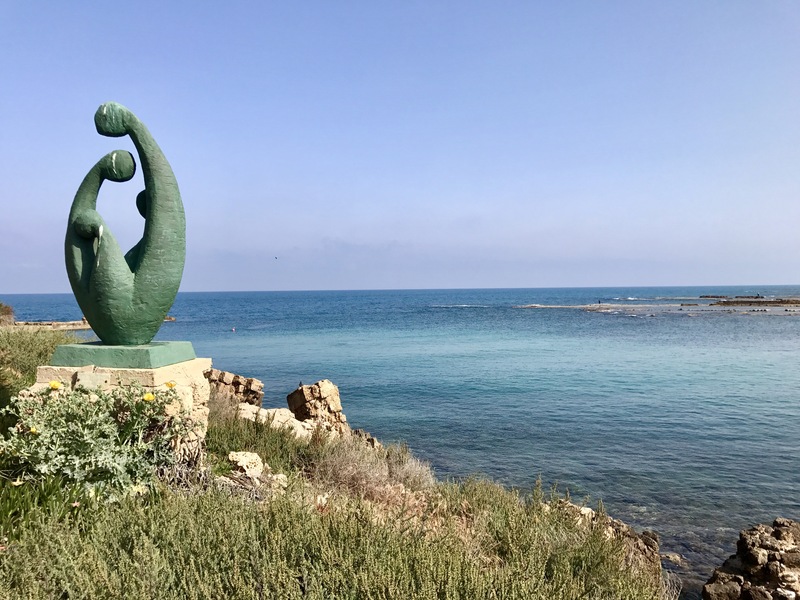 Many of the most important post-bible Jewish books (such as the Mishna and Talmud) were composed in the city, which was the home of many Jewish scholars. In fact, the Sanhedrin was based here from the second century on. 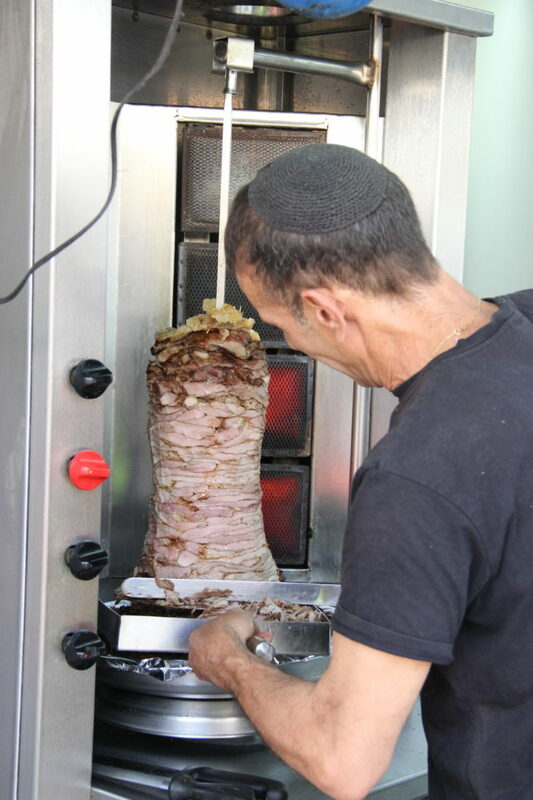 We had a great shwarma lunch from a little outside food stand in Tiberias, which is a thriving resort town these days. Its modern vibrance was a stark contract to the other city (ruins) we visited on the Sea of Galilee, and we’ll get to why in a minute. 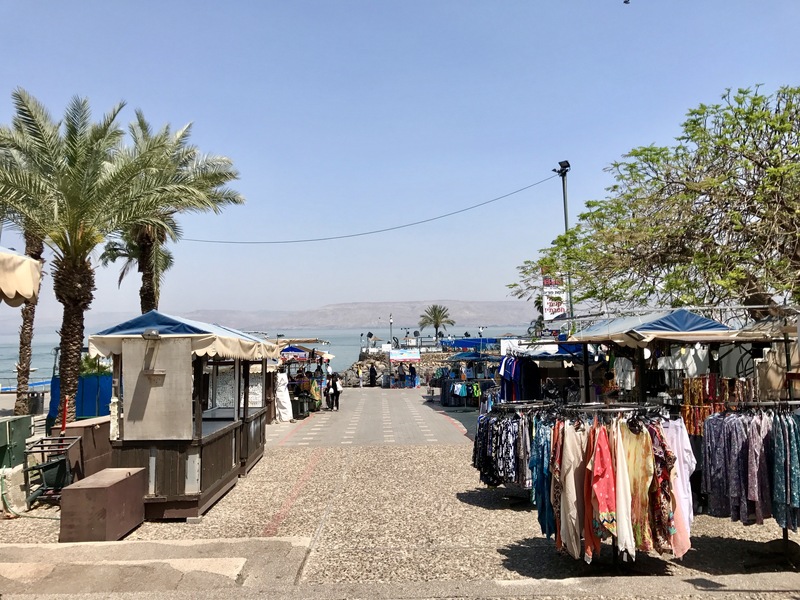 The one verse in the bible that specifically calls out Tiberias the city also mentions that other destination, in fact—Capernaum. 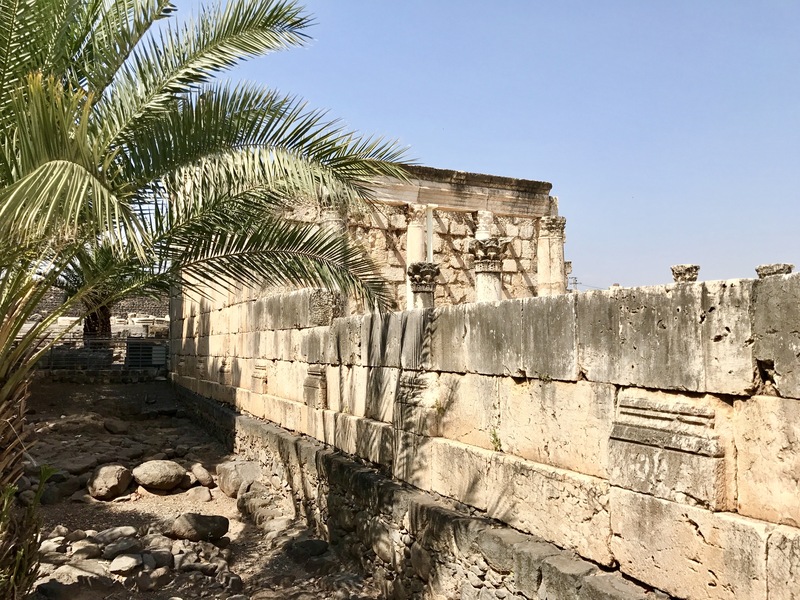 It’s believed that Jesus lived here much of his adult life, so the ruins of Capernaum are a major draw for mainstream Christian visitors. His living in this area also fulfilled the messianic prophecy in Isaiah 9:1-2 (Nazareth is part of Galilee as well). A lot of the ruins are made of the local black basalt rock, giving it a very unique look. 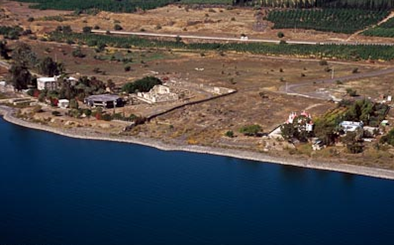 You can even see that basalt as the foundation underneath the more famous white synagogue in the pic below. 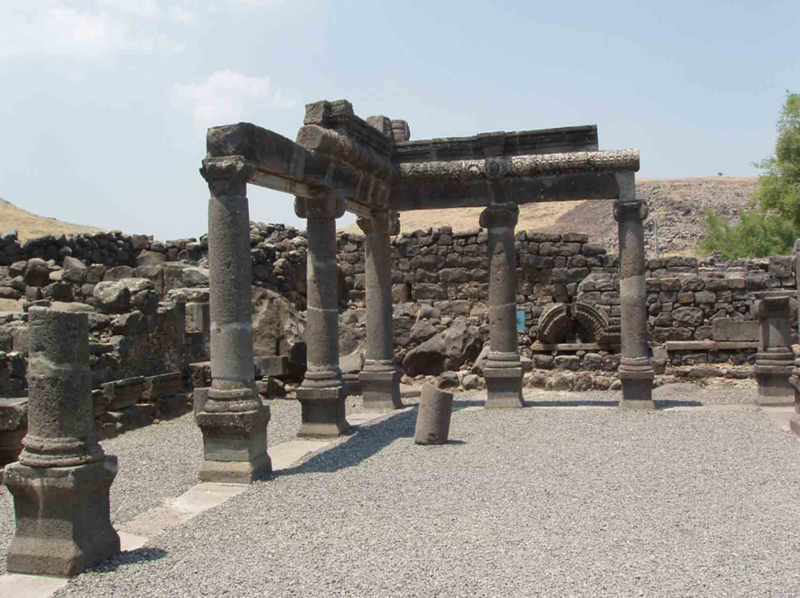 That older (basalt) synagogue is believed to be where Jesus taught at the beginning of His ministry. 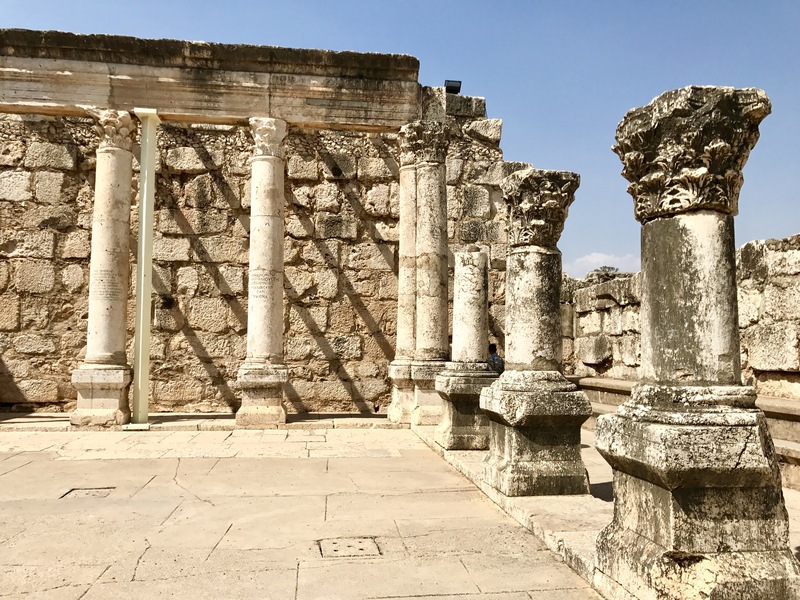 The white synagogue was built around the 3rd century AD, and is made of white limestone. 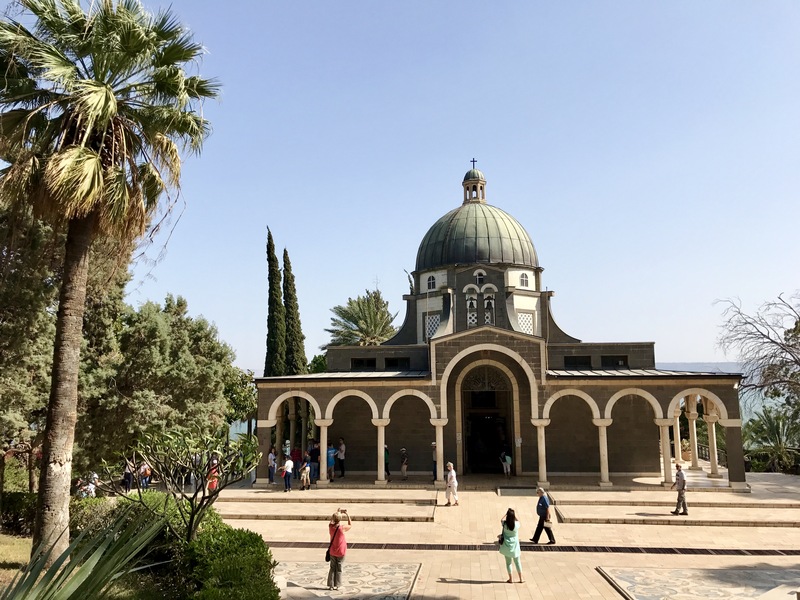 In addition to being the supposed home of Jesus during some of His adult years, Peter was from Capernaum as well, and they have built a (quite honestly hideous) church on top of what was believed to be his house. 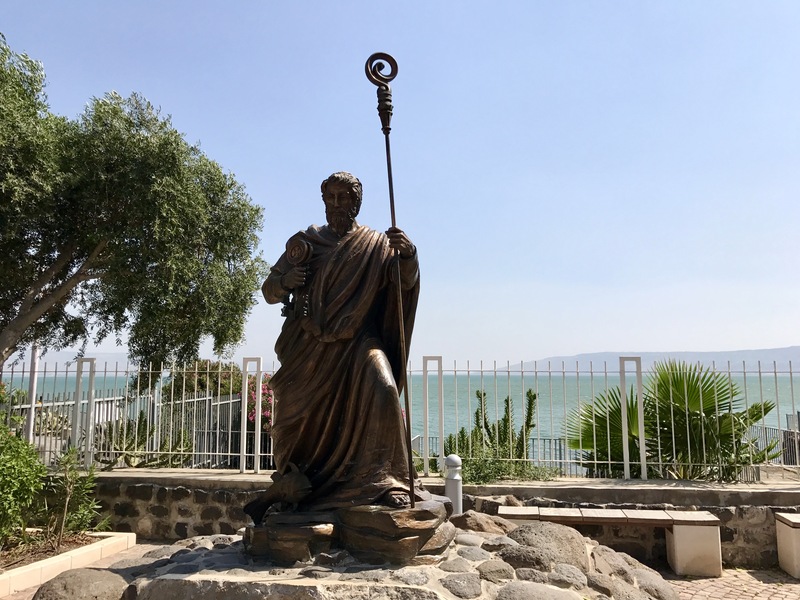 They have a statue of him as well, overlooking the Sea of Galilee. 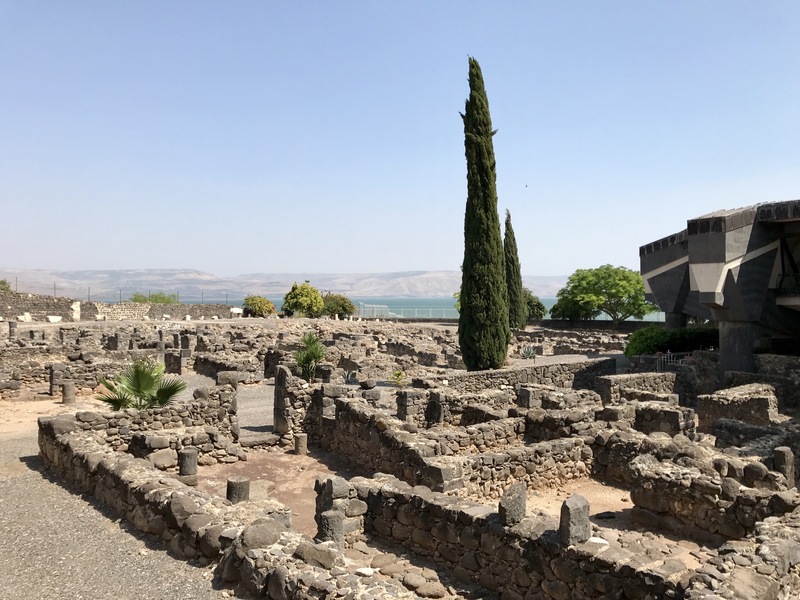 Capernaum is also famous as being one of the three cities that Jesus pronounced woes on in the bible. 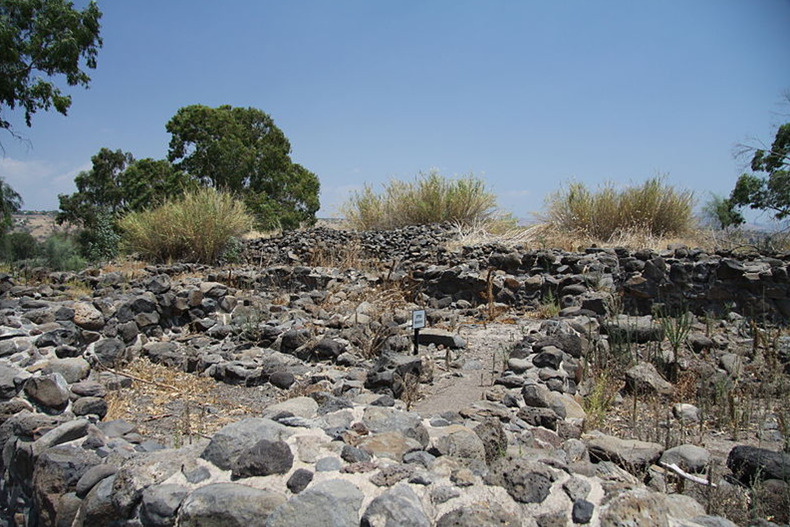 It’s really interesting that these three cities are in beautiful settings (below is the setting of Capernaum and then the ruins of Bethsaida and Chorazin), but unlike Tiberias these three cities didn’t survive. 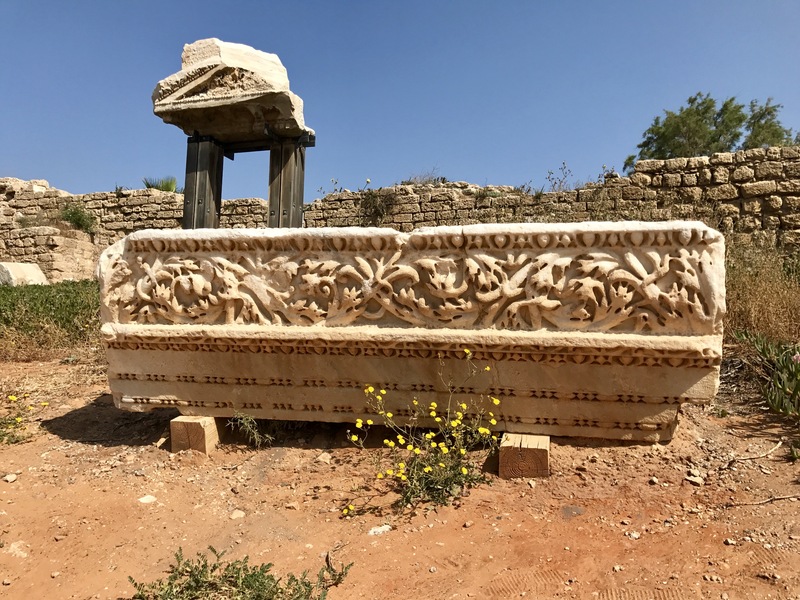 Nothing was ever built on them again from a few hundred years after Christ forward, and that’s definitely strange since settlements tend to perpetuate over the centuries—typically when you find ruins, it’s layers and layers of different civilizations building on top of the previous. It’s hard to say for certain whether Jesus’s “woe” pronouncement was the cause, but it’s certainly an interesting coincidence. 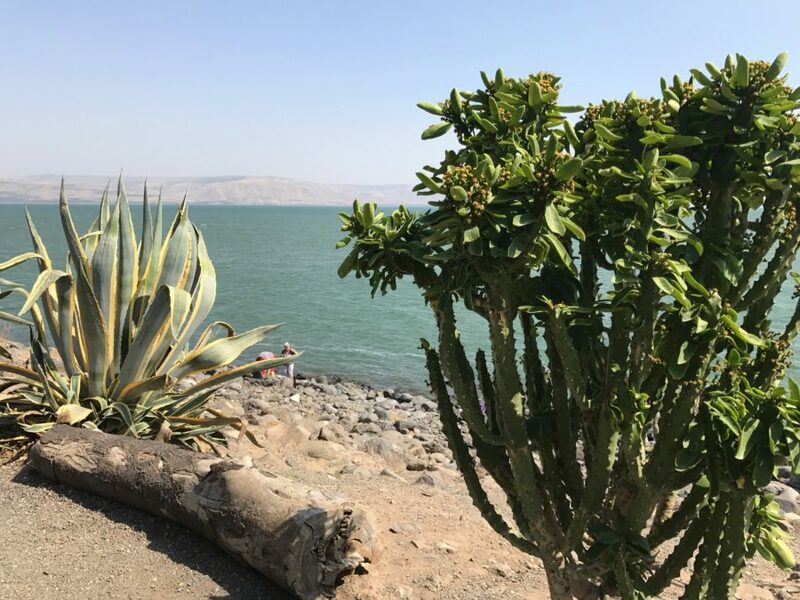 You can also walk right down to the Sea of Galilee when you’re visiting Capernaum, which is nice and surprisingly peaceful (given the crowds). The vegetation was really interesting as well, and you could look across the sea to the Golan Heights, which was cool (you can kind of see the settlements in the third picture; it was pretty hazy). 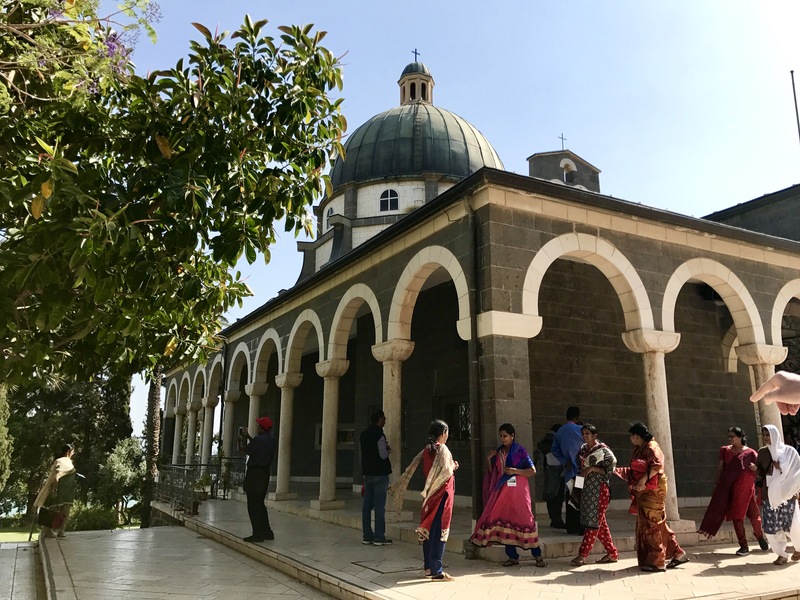 From Capernaum we drove just a few minutes up a hill to the Mount of Beatitudes. I say “supposed” because there’s really no way of knowing where Jesus gave one of His most famous sermons. 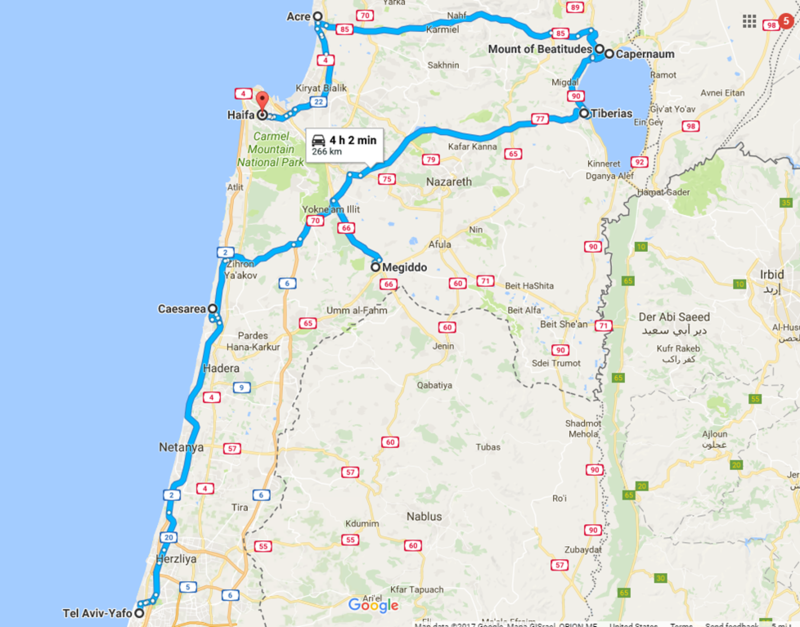 If you look at the map below, the site today is near Capernaum, just up the hill, but my dad seems to remember their tour guide from the ’80s pointing to a place near Tiberias. So who knows? One story that I found really interesting (though can’t corroborate for sure) was about Constantine’s first wife, Helena (Flavia Julia Augusta). Constantine, as most people know, was the Roman emperor who made Christianity the state religion, and his first wife was very devout and did quite a bit of pilgrimage in the Holy Land area. The story that our friend Steven heard from different locals and tour guides was that when she came to visit, she wanted to know where all these famous sites were, but since no one could know for sure (and they were afraid of telling the emperor’s wife “no”), the local people just picked a spot and that became gospel truth. 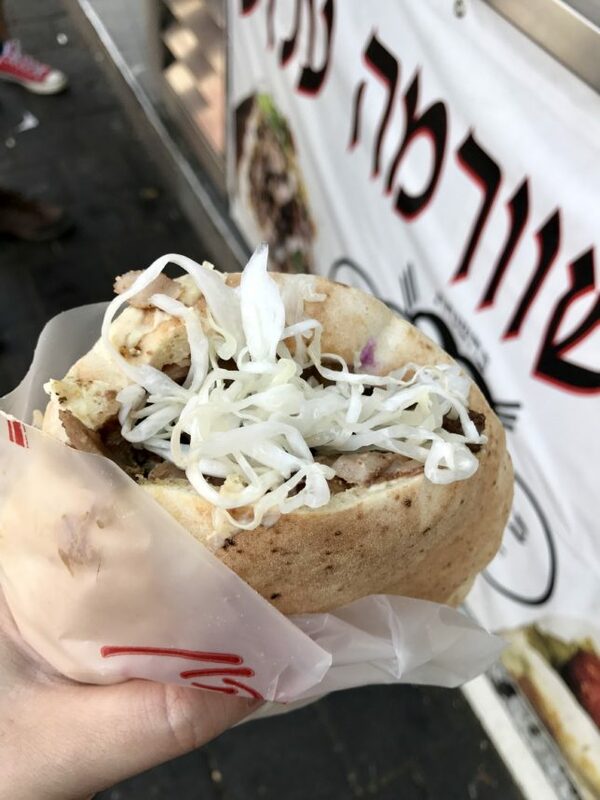 It definitely could explain how certain places became famous when modern and biblical evidence suggest otherwise (particularly in Jerusalem), so thought that was an interesting story to share. 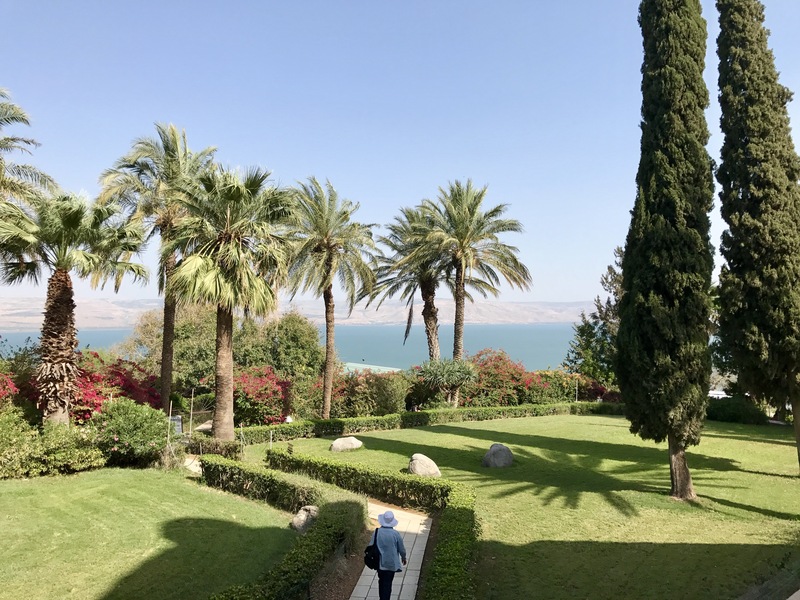 So the Mount of Beatitudes is…a tourist destination. The landscaping is very pretty but very sanitized (in my language, not very authentic feeling). There are a supposed to be lot of Byzantine ruins in this area due to Constantine’s wife, but we didn’t see any of them. Obviously this references Jesus’s famous “sermon on the mount” in Matthew 5-7, which includes the beatitudes or “blessed are the…”. We have no way of knowing where He actually preached the sermon, though. From the Sea of Galilee we then headed up to the coast to the Arab town of Acco. 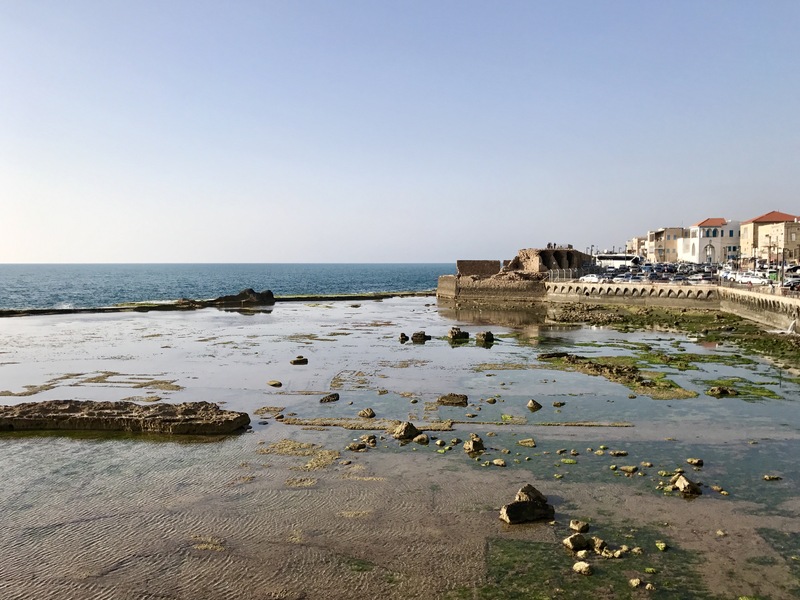 Akko is one of the oldest continuously-inhabited sites Israel, with a fascinating and rich history (I find that’s often true of port cities). Below I’ve outlined just the bare-bones history and it’s still quite lengthy. 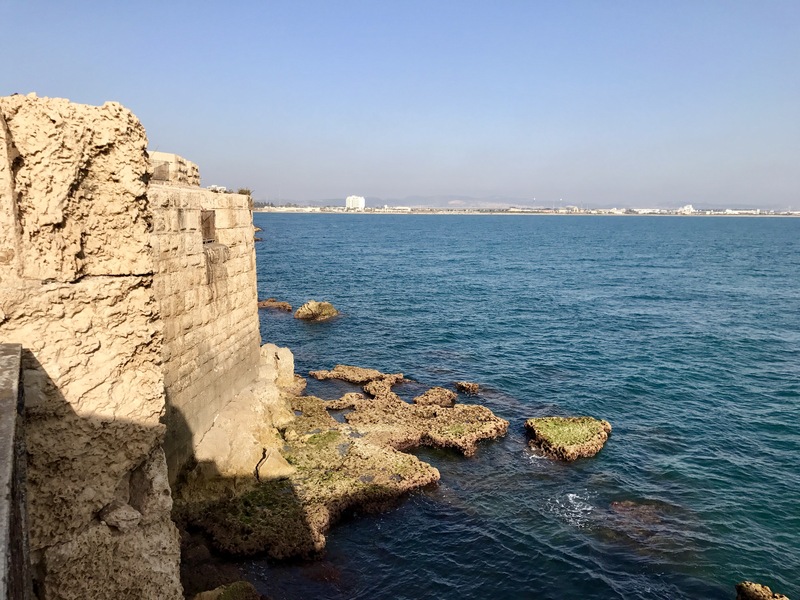 There is this really interesting breakwater that was built during Roman times to make it a safer harbor, which you can see in the picture below. 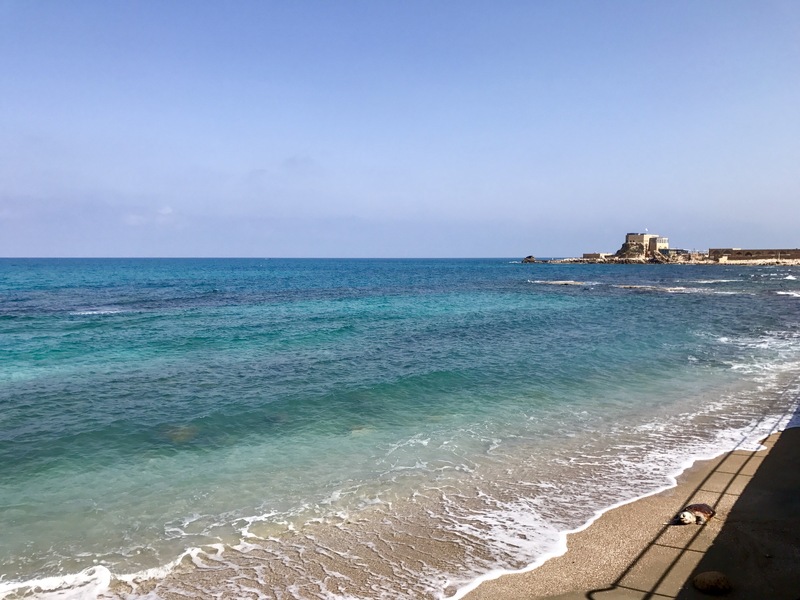 It’s like a really shallow shelf (also known as a sea wall or jetty) that’s built around parts of the city to protect it from the force of the waves. We were running a little later than planned for dinner, so we found a place to sit down. 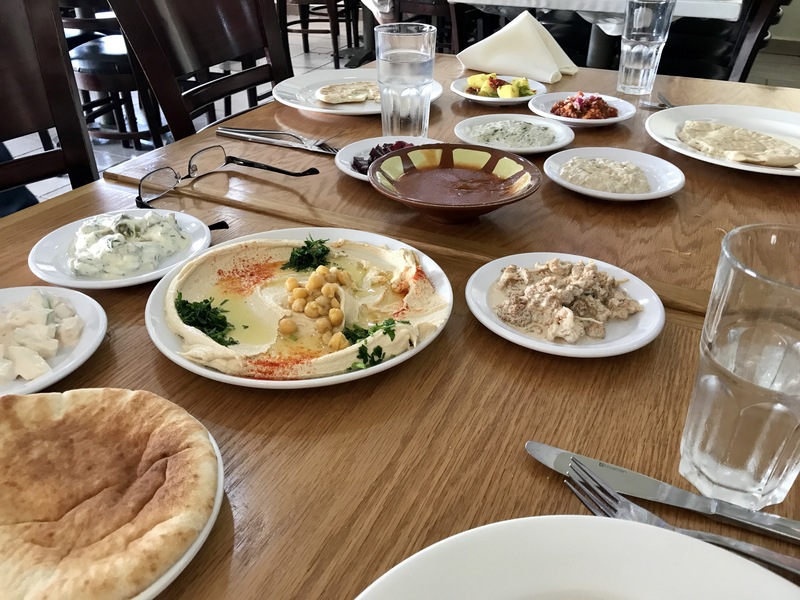 After quite a bit of back and forth with the owner, we somehow ended up with a smorgasbord of salads (a traditional meal), as much as we could eat. Stuffed and happy, we walked out of the restaurant…and were rewarded with an absolutely breathtaking Sabbath sunset on the breakwater around the harbor. It’s one of those travel moments that is unexpected and you know will stick in your mind forever. 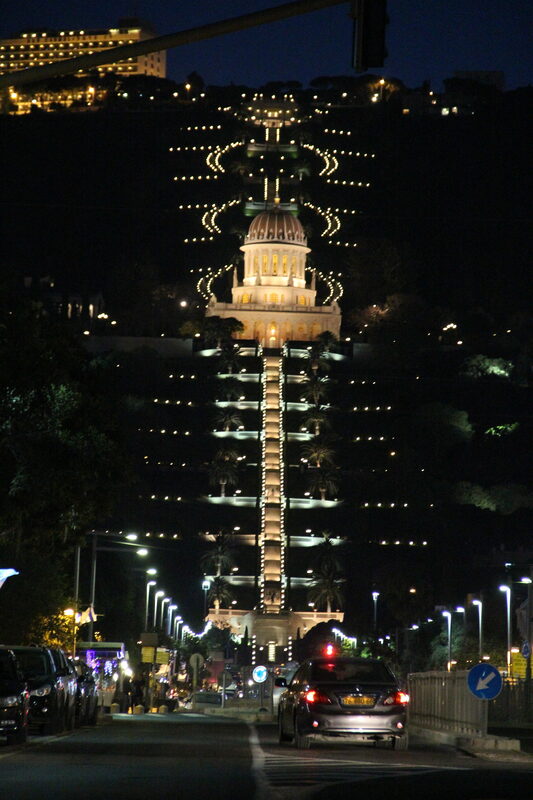 We didn’t spend any time in Haifa, but stopped quickly to see the Baha’i Gardens at night on our way back to Tel Aviv. Haifa is the third-largest city in Israel and a major tech center as well. 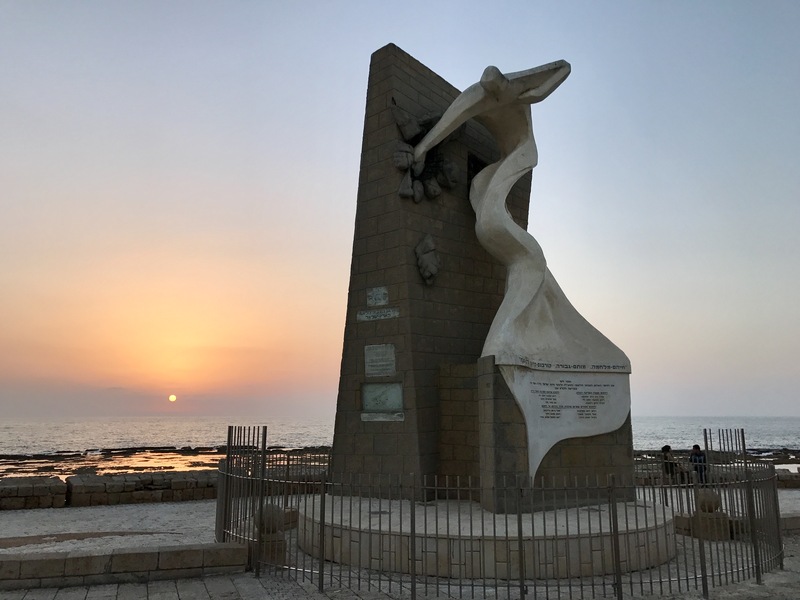 It’s also where Mount Carmel is located, which is mentioned a few times in the bible. 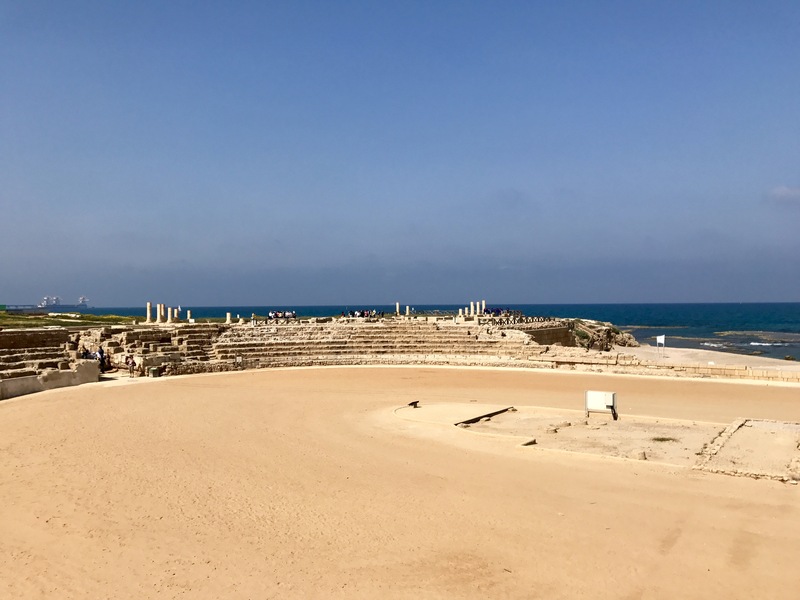 Our first day in Israel was packed full of history and biblical sites. 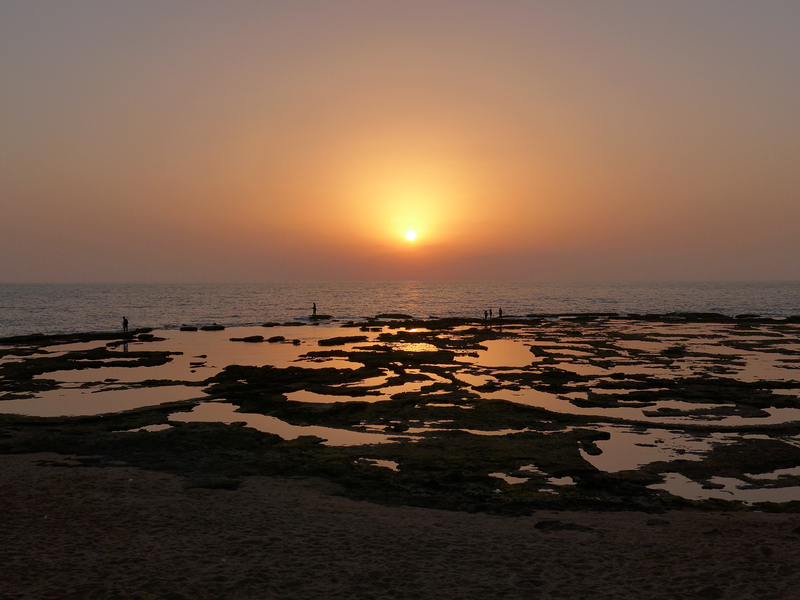 There were many places we didn’t visit as well, but we definitely hit some of the most well-known places. 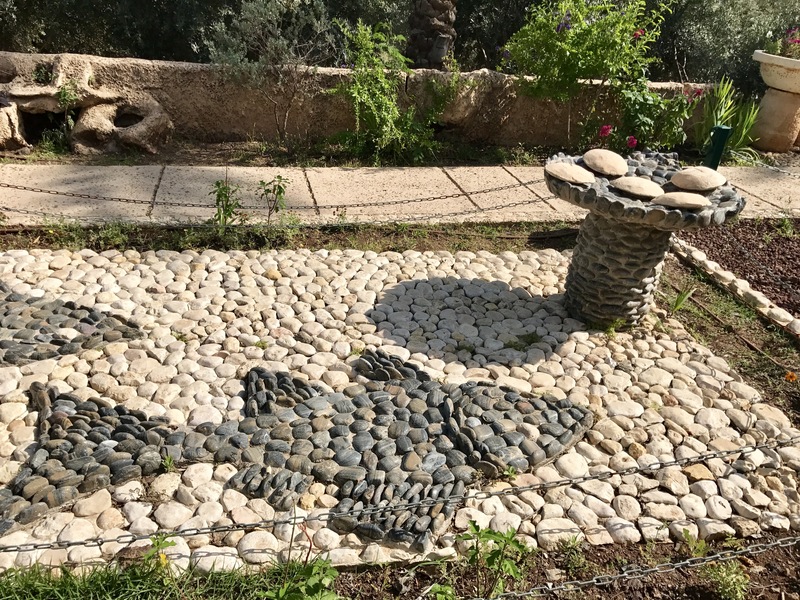 Make sure you read the other posts in our “Travel in the Holy Land” series! I’d love to know if you have any questions about where we went, please let us know in the comments! 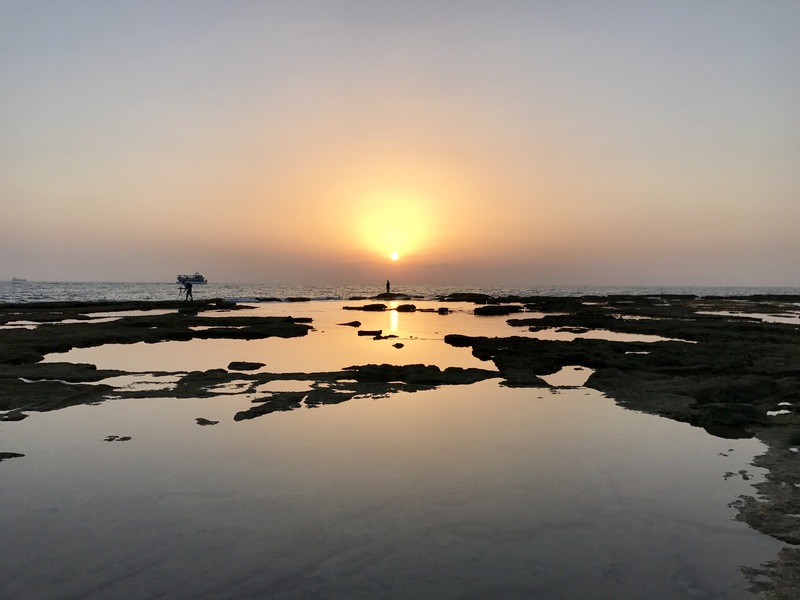 Excellent narrative of your trip and great photos!